Spring hurried into her jacket and looked at the scrap of paper. If she was correct, Grace was staying only about a block away! It started to drizzle as she rushed down the street. Yep, there it was, Apartment 36. Spring knocked and waited. “Come in!” A voice called from inside. Spring opened the door and a girl with dark-brown hair and blue eyes was looking at her. “Uh, hi, I’m Spring.” Spring said. “I’m Grace, but you probably already knew that.” Grace said, smiling. Spring nodded. “Well, um… This probably isn’t the best time to talk, is it?” Spring asked. 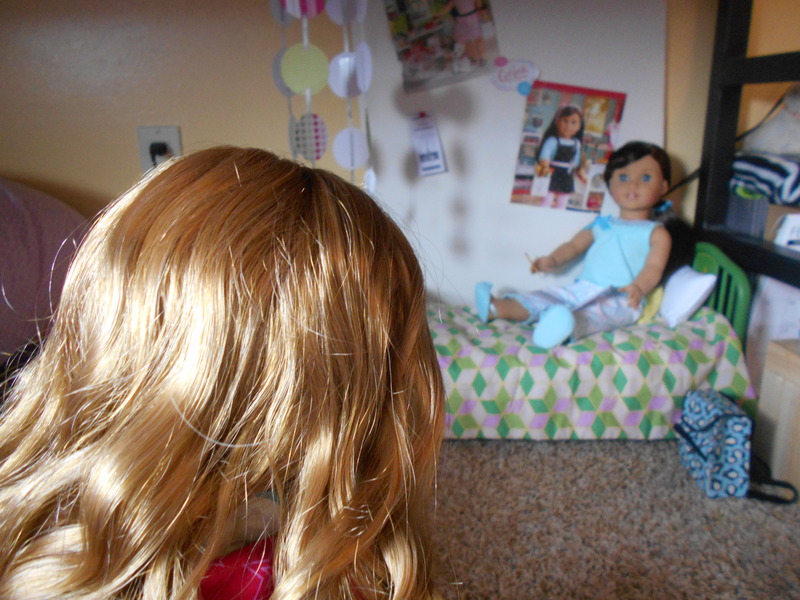 “No, it’s a great time to talk.” Grace said, patting the bed beside her. Spring sat down. “So… Why are you in your pajamas?” Spring finally said. “Well, what would you rather wear if you stayed home all day, pajamas or regular clothes?” Grace asked, smiling. “Um… Definitely pajamas.” Spring said. Spring and Grace talked for a long time, like they were long lost friends. “Sure! What do you have?” Spring asked. “I have tons of treats, I’ll go get some.” Grace got up off the bed to get their snacks. 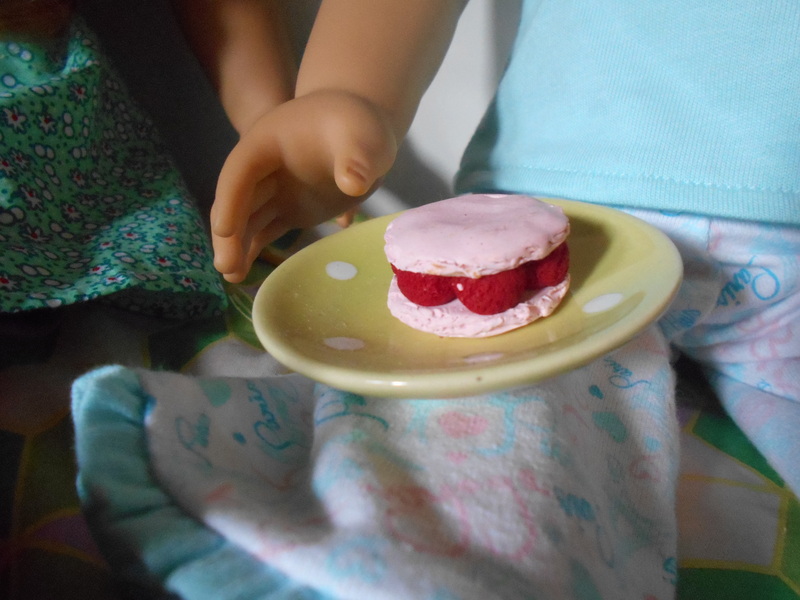 She came back with a strawberry tart and a strawberry macron. 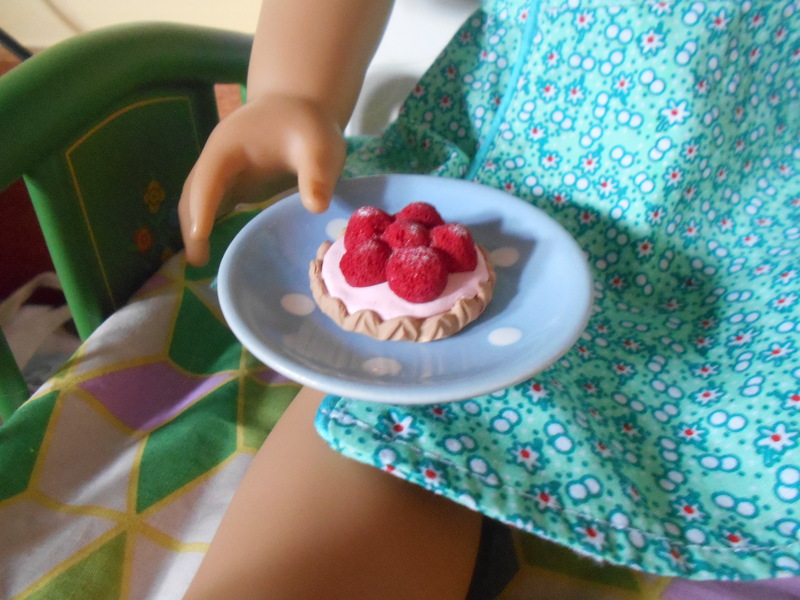 “Here you go!” She said to Spring, handing her the tart. Spring licked her lips. Grace set down the macron on the bed. “Well, I’m your sister too!” Grace said. Spring eyes popped. “Oh, yeah! I forgot! But… Why aren’t you living at our house?” Spring asked, confused. “I think I forgot, but anyway, I can’t wait until we are all together.” Spring said. Grace smiled. “Bye!”Spring said, heading toward the door. “Good-bye! I hope I see you soon!” Grace replied, waving. Do you think that was a good ending? Oh how sweet! I bet they can’t wait for Grace to move in!